Any applicable trouble codes? Temp wise in degrees F, what is the temp reading? 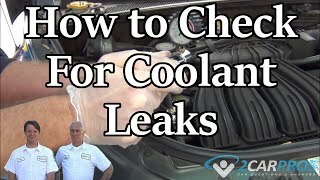 What about the coolant temp sensor? Did you use a voltage tester at the fan relay? I don't believe there is anything wrong with the system. You are expecting it to come on before it is really supposed to. Low speed doesn't come on until 223 degrees and high speed at 230. See if this is more complete. I can't get the whole diagram in one picture and make it readable. To fan number one, gray wire is voltage, white wire is ground. You see the center relay, when that relay is not energized, the ground goes through that relay. See the blue wire, that goes through the second fan motor to chassis ground. I have it working now and automatically responding. I found two things (not very common) that was keeping it from working. First I saw there was no ground at right cooling fan black wire. I think there should be ground there all the time. Second I found that there was a bad relay at cooling fan relay 1, bad contacts. Diagrams really helped. No, there shouldn't be a ground there all the time. That is the trigger wire connected to the PCM which controls the relay through that wire. There is nothing wrong with your fan. Disconnect the wire and let it run. The fan will cycle on and off without it going into the red zone. That is the way it's supposed to work. I understand that the ground for the fan relay is completed by the -trigger ouput from PCM. I was talking about "5 BLK 1050" big thick black wire down by the right fan. It didn't have cotinuity to ground, so I tapped in and put a ground wire. Its responding automatically and shutting off. Just curious why that one big thick black wire was not grounded, its not like it went through a relay, I looked at the diagram. I followed that big BLK wire to the bottom of dist box and did not have cotinuety there ether. If you look at the diagram, you will see that the ground for the left cooling fan is controlled by the #2 relay. That is how it gets 2 speeds. It runs the ground through the second fan to split the power between the 2 fans. And then through the other motor when the relay is at rest. Hi, I have a 05, chev venture, I noticed that my heat gauge is going over the half way mark and it did not do that before. The fans are not turning on. But when I turn the ac on the fans turn. (So the fan motors work), I checked the fluid levels and are top off, I opened the two bleeders and no air in system. The fuses are good but I dont know how to check the relays to see the are working also dont know witch one to check, I have 3 that says its for the cooling system. If fan comes on with A/C then relays are working. Most likely a faulty engine coolant temp. (ECT) sensor it causing fans not to come on other than with A/C. Thx for the fast reply, I will try that and post results. Sorry for the delay, I wanted to make sure I had $$$ in the bank first. Ok, so I went to midas today and they hook up a computer to it and said that every thing was fine with the engine and sensors, the engine temp gage in-dash would go to the fist large hash mark past center then the fans would kick in, it did not do that last year, they show me that with there comp, it goes to 108 degrease and fans start. They say that my dash cluster is not working right and that every thing was fine. He suggested me to go out and buy another one from the dealer our scrap yard. But why would/how could the instrument cluster engine heat gage get out of sink? With new vehicles there are small computers and gadgets everywhere on them, used to the coolant gauge was just a mechanical style gauge that went from the inside of car to near the thermostat so it could be sitting in the coolant. Nowadays it's electric and all built into the instrument gauge. So if it fails it will give out inaccurate readings and the only way to fix it is to replace the entire instrument gauge cluster. THX, I guess ill have to get use to it until something else goes wrong on it :(, are they expensive? was that a warning that something was going bad and if so what.